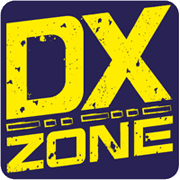 Fox Delta Amateur Radio Projects & Kits by VU2FD - Amateur Radio Projects & Kits for homebrewers, includes DDS,sound card interface,programmers, hamcom, frequency counter, RF Power Meter, modems and more. CSTech - CStech sell CTCSS kits, DTMF kits,DTMF Modules, PIC Development kits, Components. Solar Powered 12V Ham Radio Station - This article shows how to power an amateur radio station from solar power using four kits that have been designed to work together in a modular way, each kit provides a unique function. SDR-908 Portable SDR - The SDR-908 is a software defined radio designed specifically for portable use, without the bother of being tethered to a PC or soundcard for the modulation/demodulation processing performed in this kind of radio.